One of the notable characteristics of Malaysian economy is our thriving Small and Medium Enterprise (SME) sector which has helped propel the country through decades of growth. In 2010, the sector is forecast to contribute to 37 per cent of GDP and 57 per cent of jobs. A key task of the government is to assist our SMEs on their quest to go global.This is done through bilateral, regional and multilateral engagement. MITI and its agencies are also engaged in endeavours to widen access of Malaysian companies into non-traditional markets and to promote trade diversifi cation and investments in new growth areas. 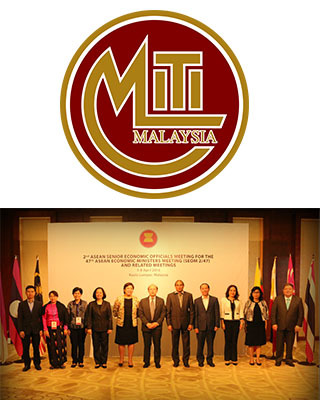 One of the on-going initiatives undertaken by the Ministry of International Trade and Industry (MITI) is the negotiation of preferential trade agreements to lower trade barriers. SMEs benefi t not only from lower cost of imported raw materials but also from more competitive pricing of their goods in foreign markets. In going global, SMEs should always bear in mind that they have the advantage of local knowledge of their own economies. This makes them invaluable partners to foreign companies seeking to invest in Malaysia. I hope the SMI/SME Business Directory will help raise the profi le of our SMEs and make it easier for foreign entities to locate suitable local partners.